The Halo franchise and I are old friends. Over its more than ten year 13+ year run, the series has remained a landmark title and some of the best content available on Xbox. Combat Evolved was one of the first console based shooter whose story really engaged me. As strange or corny as it may sound, my wife and I cemented our relationship over the series, playing through CE and Halo 2 together before the release of Halo 3. The multiplayer, both local and co-op has been the best way for us to stay in touch with some of our friends. It means a lot to us. 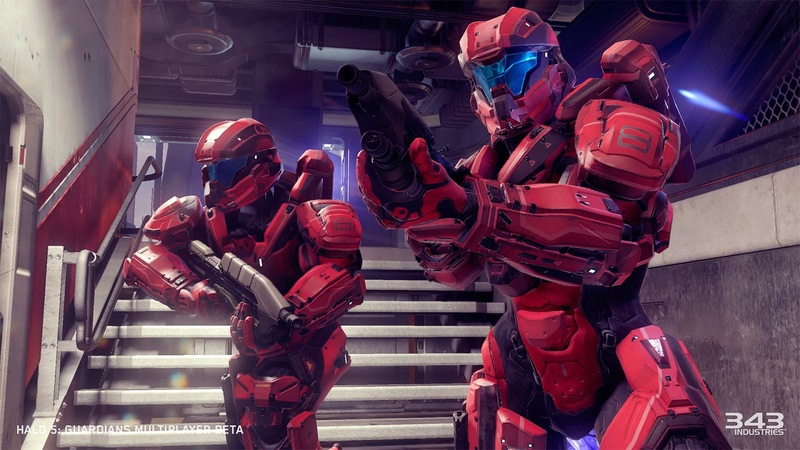 Yesterday at noon the Halo 5: Guardians multiplayer beta launched. I would have played more on day one, but we were finishing up our Legendary run through CE. Today I immersed myself in the beta and was surprised by how very different the experience is from the existing franchise. The speed of play is definitely more fast paced, tuned more for shorter, high intensity matches like those preferred by professional clans. The high mobility is definitely reminiscent of Titanfall which seems to have become an unspoken standard of sorts. The HUD and interface have been tweaked to provide a good view of the battlefield while still providing players with all the necessary information at a glance. The new aiming mechanics really threw me for a while. I barely even tried aiming the assault rifle until my fourth match, and even then I tried to click the right stick to zoom in and instead crouched, slowing me down and making me easy pickings for the enemy. Other new mechanics include a melee charge activated after running for a certain amount of time, a tricky but powerful ground pound maneuver (I'm still out on that one) and standard thruster packs for a quick dodge. 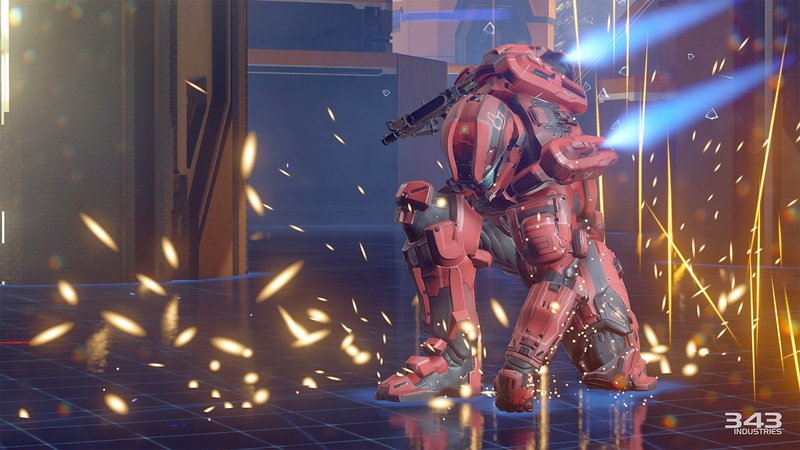 With so many little maneuvers, Halo 5 feels a bit more like a fighting game at times. Shaving down or simplifying one or two may streamline play a bit, but I ma just be showing my age. Split screen multiplayer is absent for the beta but has been promised as a feature for the final release. I've always considered split-screen to be at the core of the Halo experience so having it disappear, even conditionally is disconcerting. 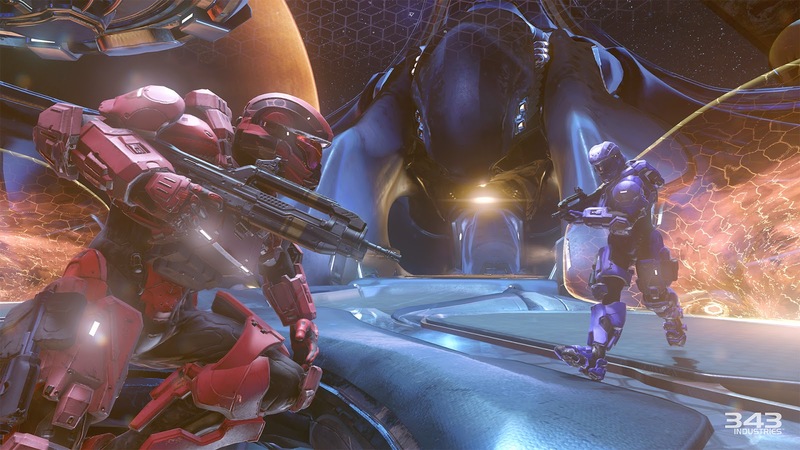 With so many tweaks and changes to gameplay, I feel like the worst thing I could have done to prepare for the Halo 5 beta was play Halo. I'm fresh out of the MCC's campaigns and accustomed to long established control schemes used in those games. While it doesn't play so much like the Halo we all know, it certainly looks a lot like it at least. If you're planning on playing the beta, take my advice and play a few rounds of Titanfall to warm up.